Lexus, Toyota and Acura top Consumer Reports' annual reliability survey, but a brand from General Motors and two from Europe have cut into the top 10. Overall, Japanese brands took seven of the top 10 spots. 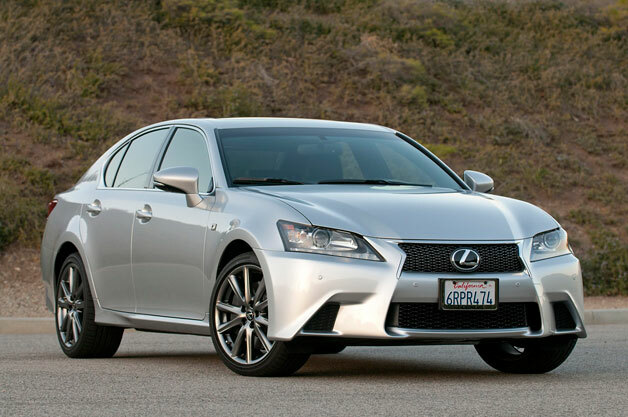 All Lexus and Acura models earned an above average reliability score. All Infiniti, Mazda, and Toyota models were average or better. The consumer magazine, whose annual ranking based on surveys of its readers are closely watched, says Audi has quietly been climbing through the reliability ranks. This year, it is fourth, up from eighth last year. The A6 sedan, Q7 SUV and Allroad wagon, all have "much better than average" reliability. And under the heading of much improved, Volvo, the Swedish maker now controlled by a Chinese company, rose 13 places to finish seventh. GM made its mark with its GMC truck brand, which came in ninth. That was up from 12th last year. GMC wasn't the only GM stand-out, however. Buick climbed nine slots to 12th place, with Buicks except the V-6 powered LaCrosse, which is no longer in the lineup, rated average or better. When it comes to terrible reliability, the new Ford C-Max Energi plug-in hybrid brought up the rear. The non-plug hybrid version was pretty lousy, too. C-Max was also the worst vehicle in J.D. Power's Initial Quality Study released earlier this year. Not all Japanese models did well. The redesigned 2013 Honda Accord V-6 and the 2013 Nissan Altima are no longer recommended, having scored too poorly. One of the key issues tripping up automakers in the survey continued to be balky electronics systems, especially in-car infotainment. CR says many of the systems are "buggy, with frustrating screen freezes, touch-control lag, or a reluctance to recognize a cell-phone, an MP3 device, or a voice command."